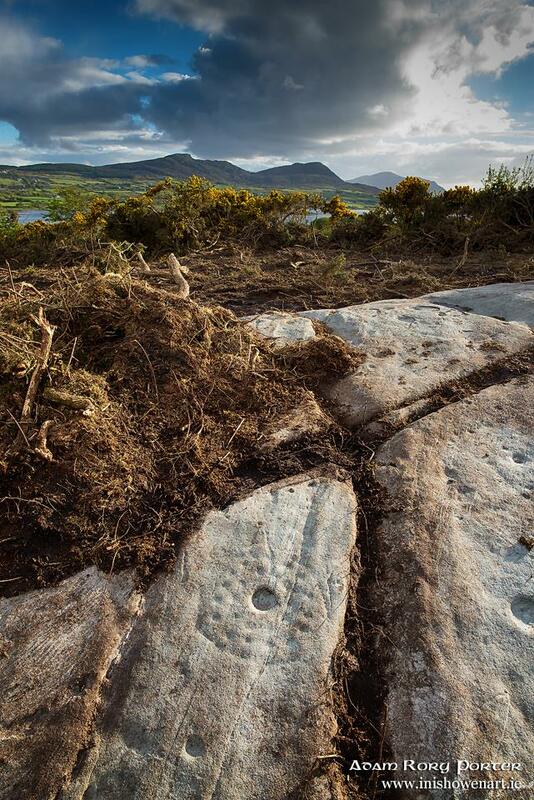 Another interesting paper is “Inscribed landscapes: contextualising prehistoric rock art in Ireland” by Blaze O’Connor, which also mentions the rock art at Doagh. Both volumes can be downloaded from the UCD website directly with figurers, plans and images in vol.2. Consisting exclusively of rock art images is “The Cup-And-Ring Art Of The British Isles – A Birds-Eye View” by Maarten van Hoek.